Creative Arts gives students the opportunity to express themselves in a variety of forms. In Creative Arts, students make artwork for a variety of audiences using different forms and techniques. They learn to discuss artwork and make judgements about subject matter and techniques used. 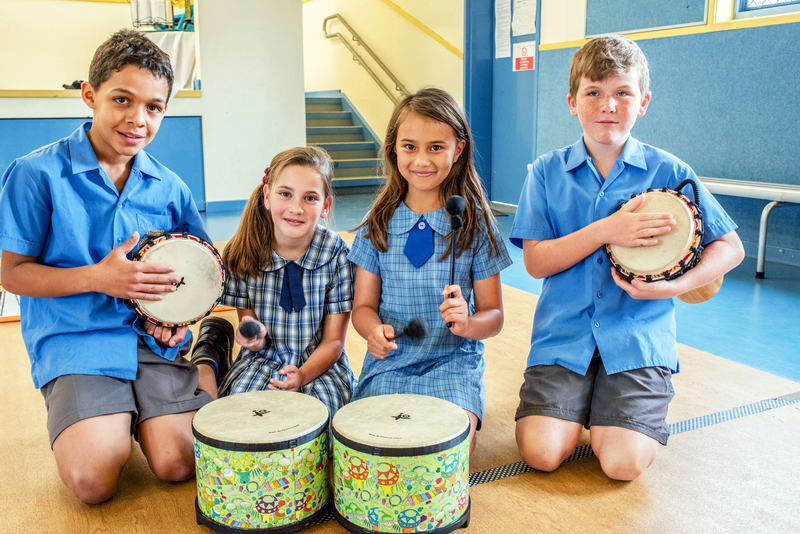 Students sing, play and move to a variety of music in group and individual situations. They write and perform their own musical compositions for the enjoyment of others. Students use movement and voice to build dramatic situations to create meaning. Dance is also used as a creative way of providing a message and students have the opportunity to create and interpret dance. St Paul’s has a specialist Music Dance & Drama teacher who teaches two days per week. A school concert is performed biennially.